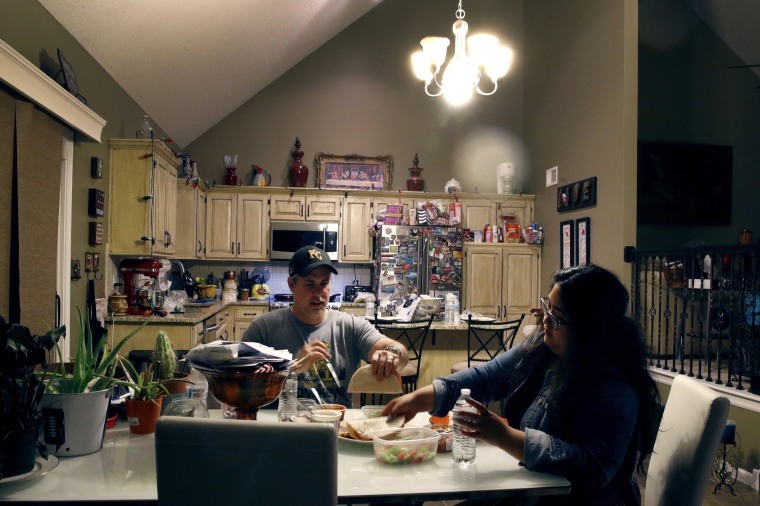 As the U.S. takes a harder line on immigration, a woman was deported, leaving behind her American husband and daughter in Missouri. 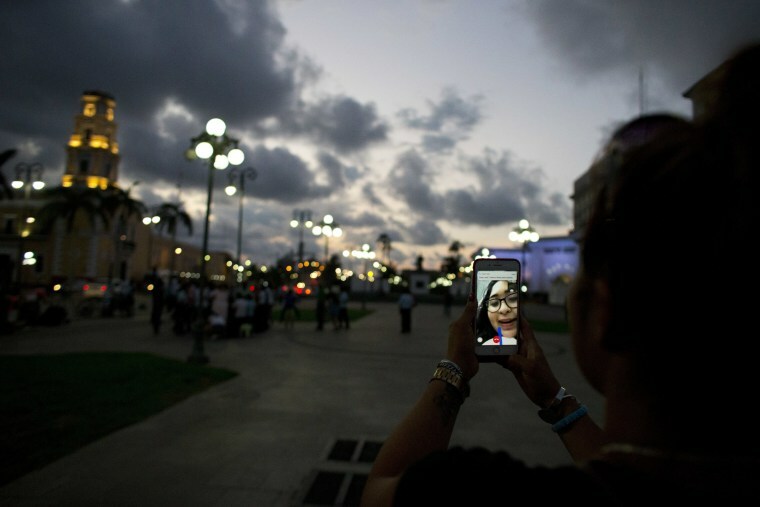 Letty Stegall speaks on a video call with her daughter Jennifer Tadeo-Uscanga, 17, from her parents' home in Boca Del Rio, Veracruz, Mexico. 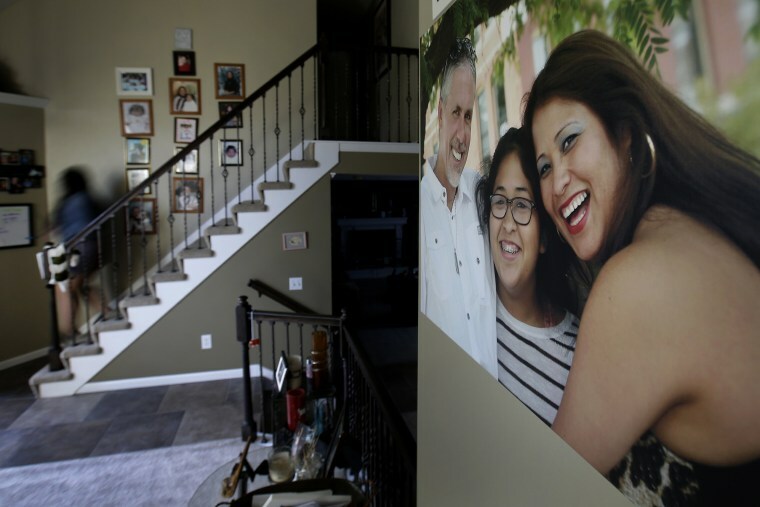 Stegall, who lived in the United States for 20 years, was deported back to Mexico in March, leaving behind an American husband and daughter. 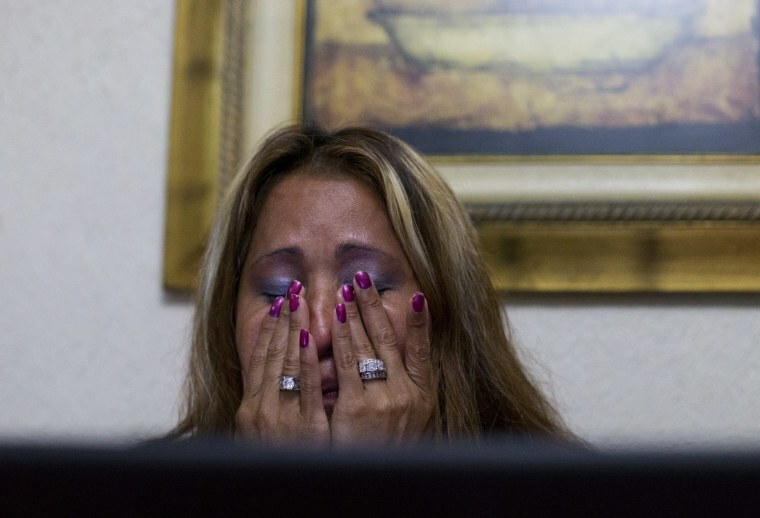 Her deportation means she could be banned from the U.S. for a decade. She prays paperwork seeking to validate her return through her marriage could wind through the system within two years, but there is no guarantee. 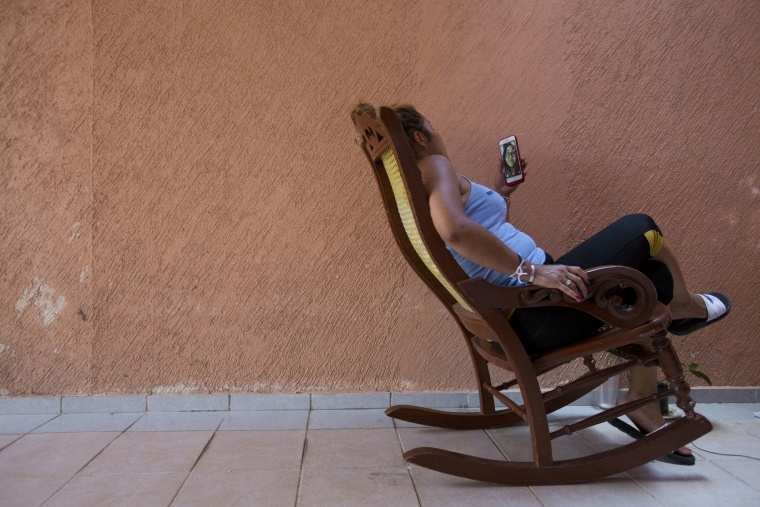 For now, she is a stranger in the vaguely familiar land she left as a 21-year-old in 1999, her phone and laptop the only windows to a life that's no longer hers. Hanging in the wall of her home in Kansas City is a photo of Stegall with her husband of six years, Steve, and Jennifer. In Kansas City, her fear of being caught receded with each passing year. Donald Trump's tough rhetoric on illegal immigration piqued her attention and stirred a little worry, but he talked about catching rapists and murderers and gang members, and that wasn't her. She carried her Social Security card, obtained through her marriage, work permit and driver's license everywhere just in case. 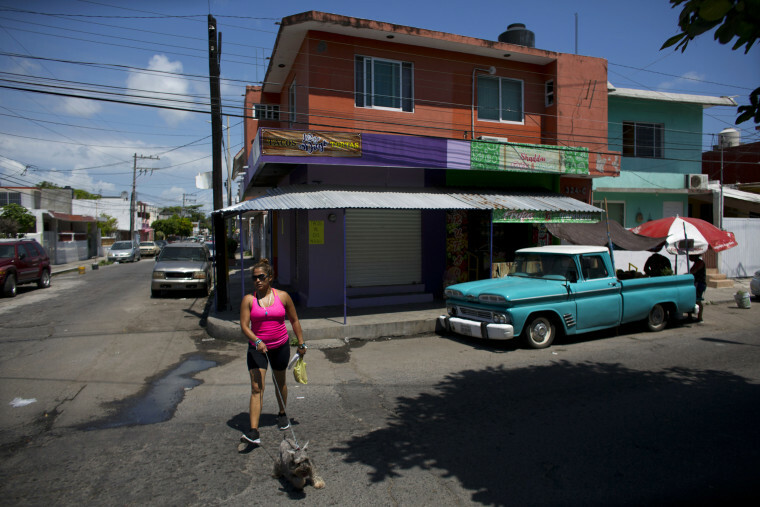 Stegall walks Max, her relatives' dog, near her parents' home in Boca Del Rio, Mexico. Stegall grew up two hours from here in Cosamaloapan, a flat, crop-dotted part of Veracruz, the state that hugs a broad chunk of Mexico's eastern coast. Her parents' furniture business afforded a comfortable existence, but drawn by the stories of a cousin who settled in Overland Park, Kansas, Stegall was convinced there was greater opportunity for her in the U.S. She paid a smuggler $3,000 to lead her across the Rio Grande in 1999. She was caught and returned to Mexico but crossed successfully a day later. Dinnertime is not the same without Letty. "She's not dead," said Jennifer. "But she's not here." Six years earlier, police pulled Stegall over a few blocks from her house and charged her with misdemeanor drunken driving. The arrest made authorities aware that she was in the U.S. illegally. Stegall spent a month in jail and her case went into the immigration system. Stegall cried at her computer after talking to her daughter. She sees that she is paying the price for her mistake but is also convinced that her deportation was unfair. She wonders why the government's crackdown efforts seem to focus on her and other low-level criminals instead of the "bad hombres" that Trump said he'd banish. "They didn't take out the people who are dangerous," says Stegall, 41. "The murderers are still there. The gangsters are still there. The rapists are still there." 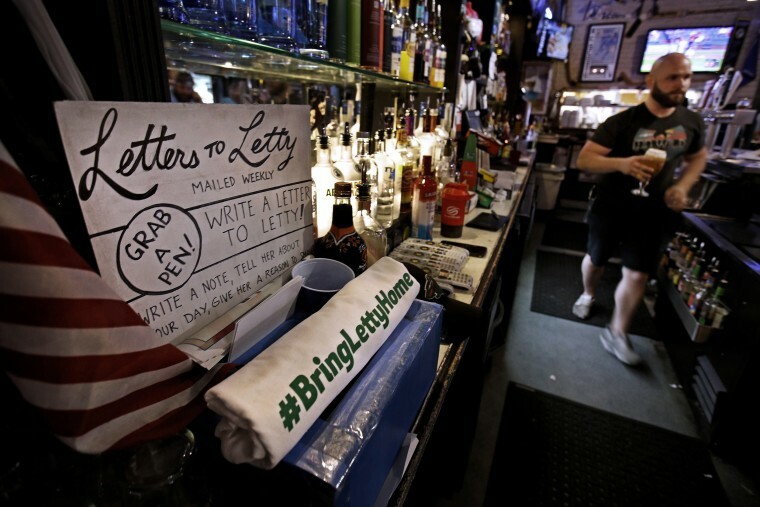 At The Blue Line, the Kansas City hockey bar Letty and Steve ran together, a flag-festooned box at the end of the bar is labeled "Letters for Letty." Many in the bar, including Steve's parents, gave their vote to Trump. They liked his promise to bring jobs back to the U.S. and the vow to make trade with China fairer. And they supported him when he said criminal immigrants would be deported. They just didn't see Stegall as falling into that category, even if she came to the country illegally. 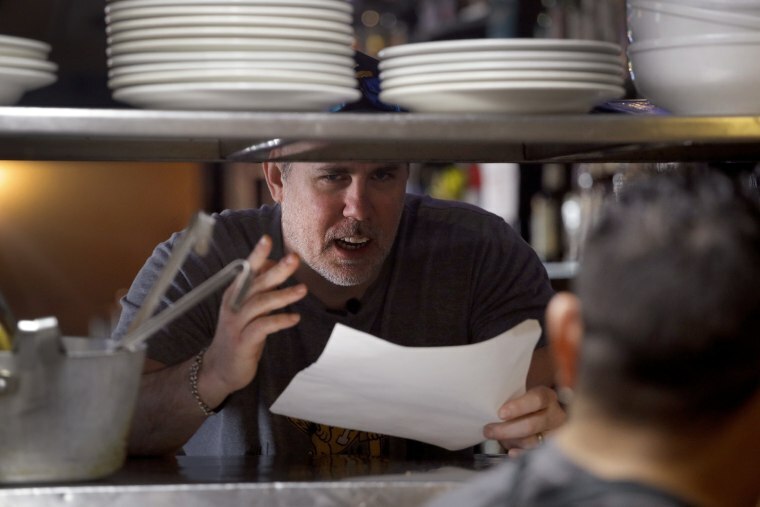 Steve Stegall talks to a cook at The Blue Line. He's taken on many of the duties once performed by Letty who was the general manager until her deportation. When anyone balances compassion for his wife with support for Trump, he's confounded. "He's destroying American lives," he said of the president. "How can you do this? How can you do this to your own American people?" 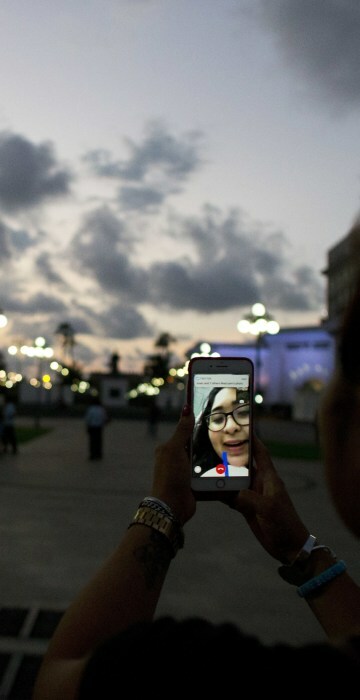 Letty speaks with Jennifer on a video call as she walks near the port in Veracruz. The world she loved has been flattened and digitized. She recognizes how odd it all may seem, but she wonders what other choice she has. Should she pull Jennifer from the only country she's ever known, where her dreams of college and career seem so achievable? 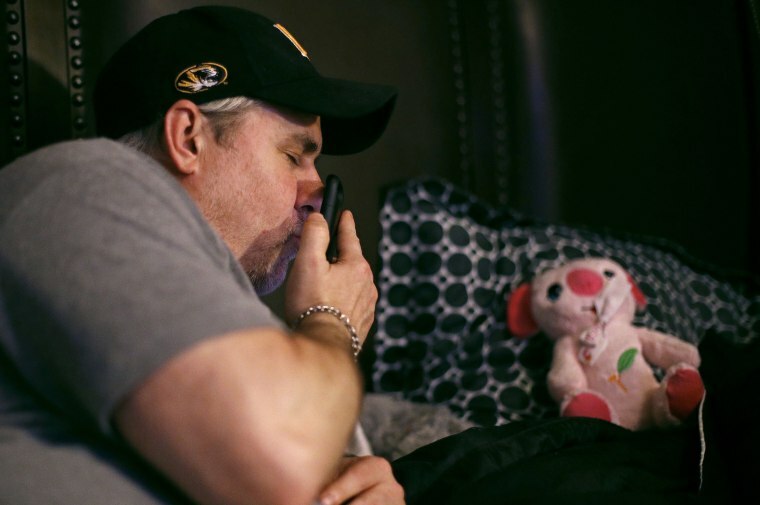 Should she ask Steve — born and bred in Kansas City — to abandon their business and home and come to a place where he can't speak the language and his safety might be jeopardized by drug cartels? Letty and Steve trade texts about whether to watch Netflix together but apart, before deciding they're too tired for a show. They go through the banality of their days, joke about losing weight and recount his visit to a psychiatrist before holding their lips to the screen to say goodnight. "When somebody gets yanked away from you one day, it's just a huge hole in your life," Steve says. 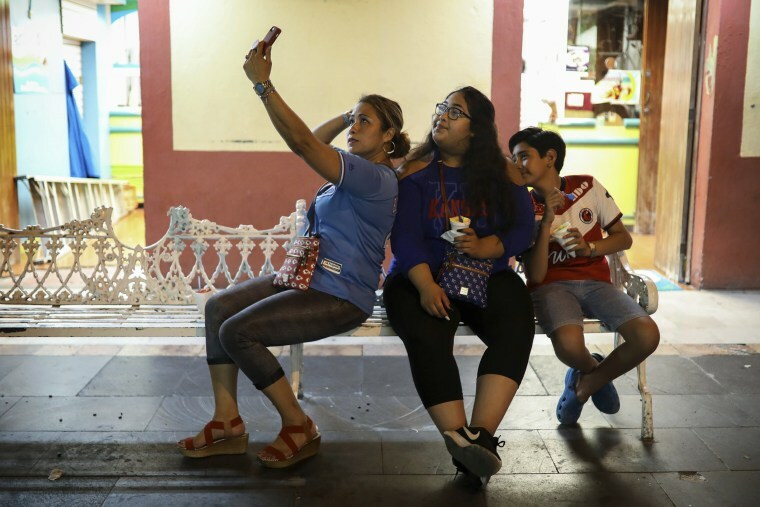 Letty, left, takes a selfie photo with her visiting daughter, Jennifer, and nephew at the Malecon area of Veracruz in June. "I wish I was there. That's all that I want," Stegall says of her life in Kansas City, Missouri. "I want my family back."